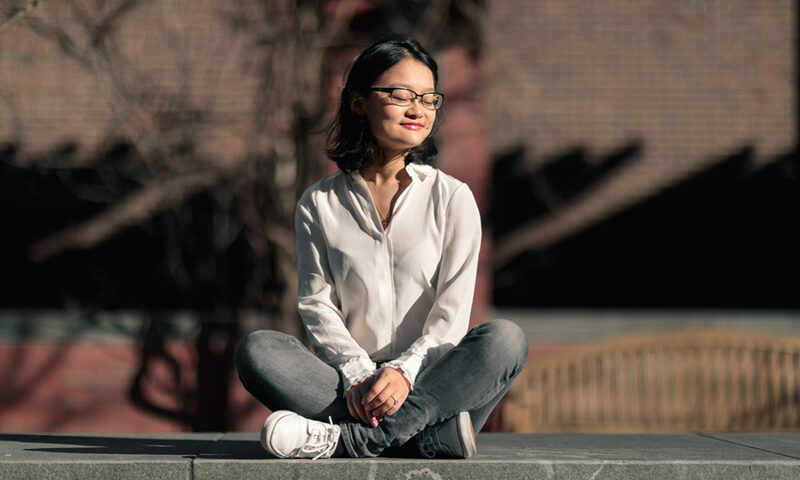 Cindy Dexin Liu, WG’18, GED’18, benefited from the close community and West Coast entrepreneurial network of Wharton San Francisco to co-found a Palo Alto alternative school. Many Wharton MBAs try something new during their two years at Wharton. Cindy Dexin Liu started a school, and the Semester in San Francisco helped make it possible. Cindy graduated in 2018 with an MBA in Entrepreneurial Management from the Wharton School and a Master’s in Education Entrepreneurship from Penn GSE as part of a new dual-degree program she helped establish. She began working on a school design as part of her education capstone project, using the resources of Wharton and Penn — including a Semester in San Francisco — helped her make her project into a reality. Under the leadership of Cindy’s partner, Jingjing Xu, the new K-8 school, Imagination Lab School will enroll its first students in Palo Alto in fall 2018. 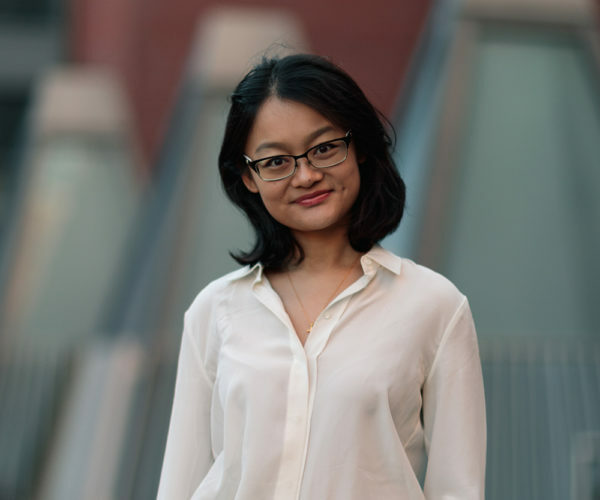 While attending the University of California, Berkeley as an undergraduate, Cindy started the Spring Foundation, a nonprofit organization focused on fundraising and designing summer educational programs for underprivileged orphans back home in China. After college, Cindy took a turn at consulting with Bain in Shanghai, but she kept sight of her passion. Because Cindy considers the San Francisco Bay area her homebase in the U.S., when she enrolled at Wharton she knew she wanted to participate in the Semester in San Francisco. At the same time, she’d discovered and been admitted to the MSEd in Education Entrepreneurship program at Penn’s Philadelphia campus. Fortunately, the two schedules didn’t conflict. Because the MSEd program has an executive-style schedule, Cindy was able to fully participate in Wharton classes, community, and networks in San Francisco, returning to Philadelphia for education classes once a month. Read more about how Cindy benefited from the dual degree MBA/MSEd program. At the same time, she was able to concentrate on her classes and school when she among the smaller San Francisco Wharton cohort. The Wharton Semester in San Francisco location was the perfect homebase for researching her capstone as well. The Semester in San Francisco was the right place at the right time for Cindy to turn her capstone into a real school. When Altschool, a tech-backed Bay Area experimental school in Palo Alto, announced that it was closing, an opening was created in the local educational space. Cindy worked with her partner Jingjing Xu, CEO of ETU US, to fill the gap for the students, parents, and teachers who were displaced. Although Cindy’s school is scheduled to open in the fall, after graduation she’s pursuing another path. “I actually decided with my team that I will only be active during the start-up phase, and I will remain as a resource and volunteer afterward,” she said. Cindy has ambitious plans to transform education, and her experiences have taught her that she has more to learn in order to make the biggest impact. She decided to join a 7-year-old charter school in California, Yu Ming Charter School, as its Director of Operations and Strategy. During Cindy’s undergraduate years at the University of California, she founded the Spring Foundation, a nonprofit that organized summer programs for orphans in China. During that time, she became close to a girl in the program, and they stayed in close touch even while Cindy became a Bain consultant in Shanghai. But when Cindy traveled to the girl’s city for a project, she visited her young friend and found out that the little girl had dropped out of school. “I had been calling her throughout the time and she didn’t tell me she’d left school,” Cindy said. Her grandparents said the girl had been sick for several months. When she finally recovered, she was so far behind, she couldn’t go back to school. With just two days before Cindy had to return to work, she spent it trying to convince her friend to go back to school. The girl promised she would. But when Cindy called her grandparents a few days later, she found out that the little girl had walked to school, stood at the gate, and walked back home.